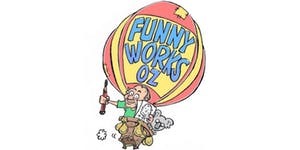 Andrew Hore of ‘Funnyworks Oz’ is a cartoonist and community program provider with community worker background. He has over 20 years’ experience creating comic strips, posters, caricatures, and illustrating books. He has worked nationally and internationally and has provided school holiday workshops for Canberran children. Keep the kids entertained with exciting events near you.